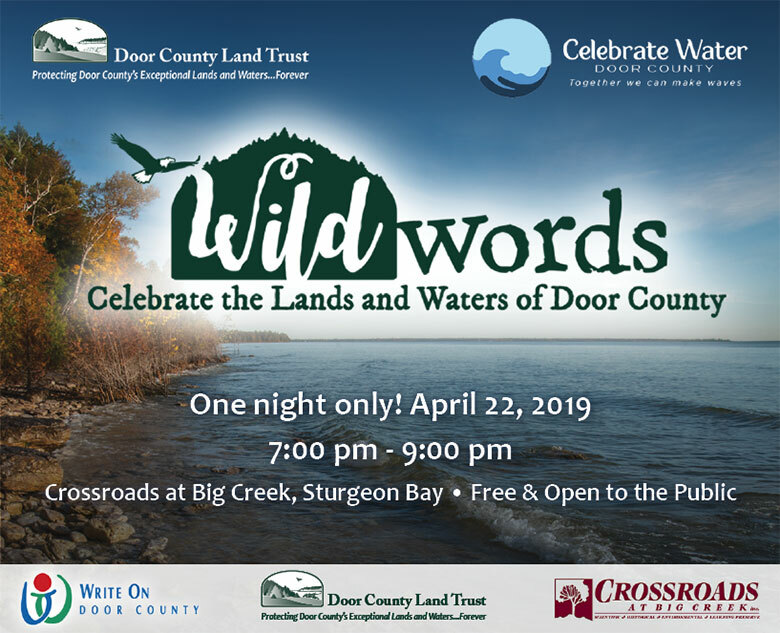 Join Write On, the Door County Land Trust, and Crossroads in a night of storytelling about Door County’s most treasured natural assets, land and water! Using a form of storytelling that combines images and words with 20 pictures and twenty seconds per picture, participants are encouraged to share stories about their experience with our land and water. This program is a collaborative project of Crossroads at Big Creek, Door County Land Trust, and Write On, Door County, presented as part of Celebrate Water Door County, a program of Healthy Water Initiative and the Door County Community Foundation. The program is free and open to the public. Join us for light refreshments and the chance to talk with our storytellers after the program. For more information on how to create your story in 20 pictures, please call Write On at 920-868-1457 or the Land Trust at 920-746-1359.